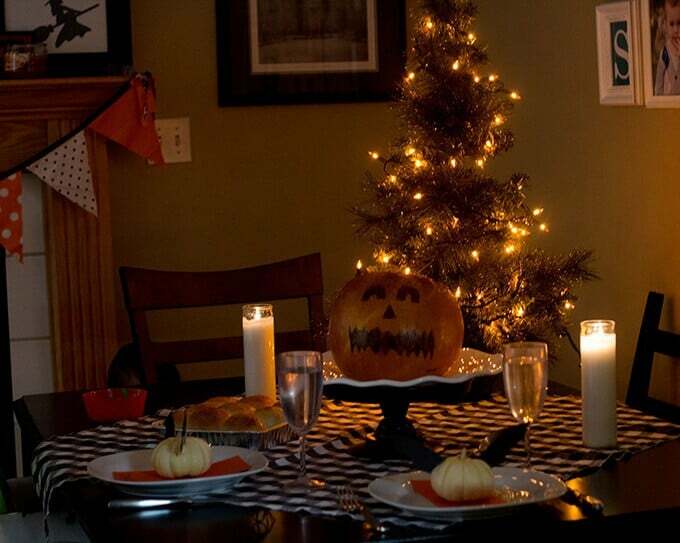 Simple Halloween Dinner Tradition - So Festive! 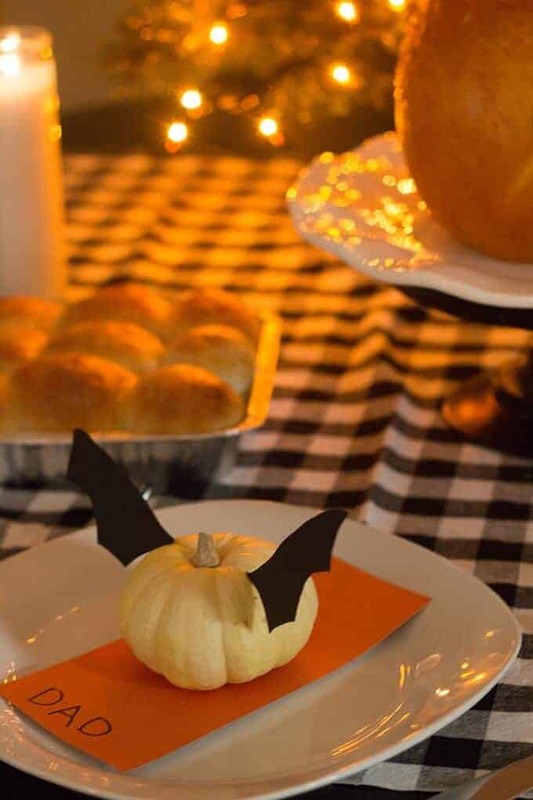 Last year, I decided to host a special simple Halloween dinner just for my little family. I had a lot of fun pulling it all together. I kept it simple by using frozen roll dough and decorations I already had. I added some orange twinkle lights to a mini tree to create a fun ambiance. My friend introduced us to one of her family Halloween traditions a few years ago and it has become one of our favorites, too! 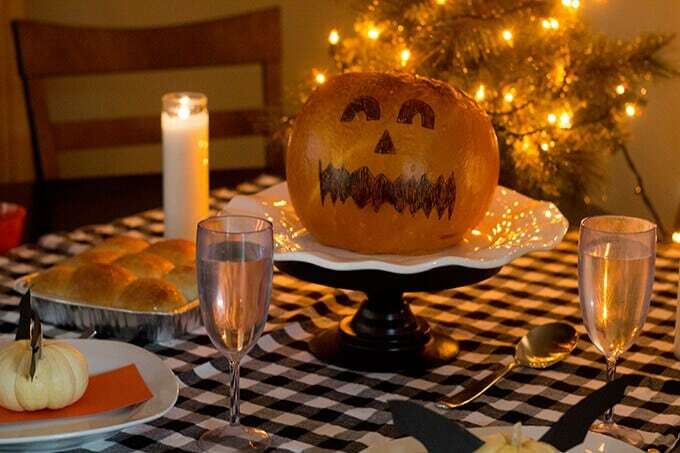 Have you ever made dinner in a pumpkin? It’s an easy meal to make and quite festive. We’ve got to eat dinner anyway, so I’m excited to put together another simple Halloween Dinner for my family this year. And I’ll probably play this Halloween playlist in the background. 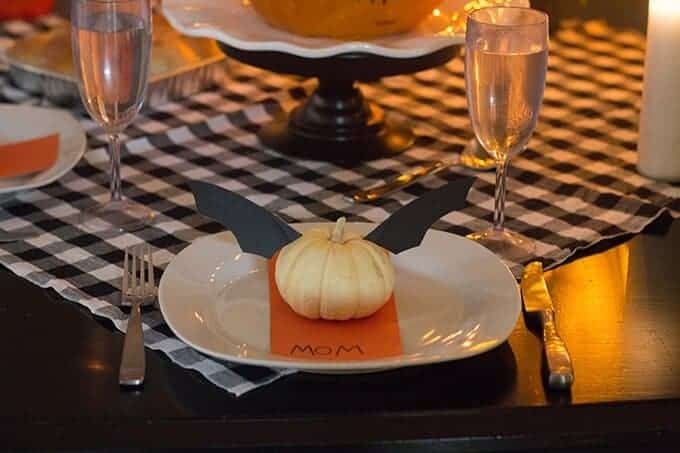 I’d love to see your Halloween dinners. 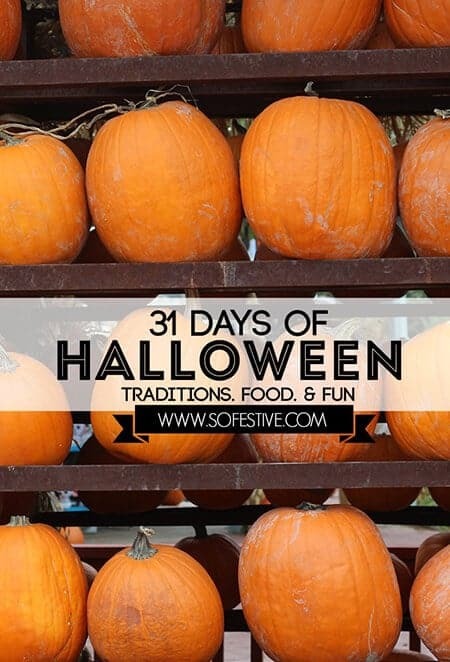 Share them with us by tagging @sofestiveblog on Instagram with #sofestivehalloween.